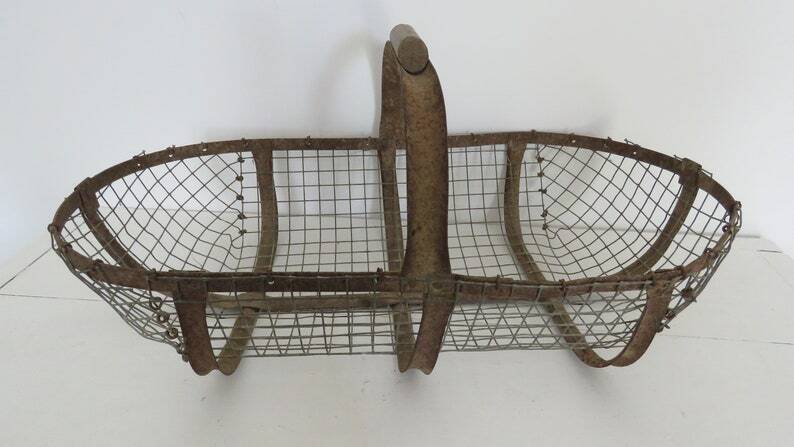 This rare French trug/basket has a very strong steel frame with a square wire mesh covering and is very sturdy. It has a strong metal and wood handle. A great piece of country French decor. Early 1900's.